Kayfabe Commentaries‘ ever-popular “Timeline” series is back. “Timeline”, for those who don’t know, is an historical shoot interview series hosted by Sean Oliver. Each episode focuses on one year in a promotion’s life as told by the stars who lived it. The hot angles, stars, backstage politics, and big marquee matches are discussed and dissected. This edition heads back to 1986, the pinnacle of all things Jim Crockett Promotions (JCP). With a Hall of Fame roster including the original Four Horsemen, Dusty Rhodes, Magnum T.A., Midnight Express, Jim Cornette, and the Rock ‘n’ Roll Express, JCP ran their first Great American Bash Tour and drew the first million dollar gate in NWA history with Starrcade ’86. A year highlighted by the Flair/Morton and Magnum/Nikita feuds, JCP was firing on all cylinders, primed to make a legitimate run at the WWF for pro wrestling supremacy in the waning years of the 1980s. To discuss the years ups and downs, and all things JCP, Sean Oliver sits down with the hottest tag team of the era, Ricky Morton and Robert Gibson, the Rock ‘n’ Roll Express who, on paper, seem to be the perfect duo to breakdown JCP’s biggest year in “Timeline: The History of WCW – 1986”. But, as we quickly discover, things don’t work out that way. Though Robert Gibson is present for the interview, this DVD is the Ricky Morton Show, and that’s not necessarily a good thing. Morton continually has trouble distinguishing 1986 from 1985 and 1987, confusing, for instance, what year Ron Garvin won the NWA title from Flair. Often times Morton simply doesn’t remember or relies on Sean Oliver or the KC staff to bail him out. In these instances Robert is of no help whatsoever, to Morton or the viewer. It’s not all bad though. When it comes to matches and angles pertaining to the Rock ‘n’ Roll Express (tags or singles), their memory works fine. From the story behind “Betty Lou” (the small steel cage) to working tag team broadways to winning and losing the tag straps Ricky and Robert are great. Get them talking about anything not connected directly with them and their memory grows fuzzy. Beyond Ricky’s memory issues, the two just don’t seem all that interested in the interview. While Robert frequently yawns and checks his watch, Ricky is more preoccupied with the Coors Light on the floor than in thoughtfully answering questions. While Ricky is talkative in the beginning he grows anxious and begins to give terse, borderline pointless answers. Nowhere is this more apparent than when talking about Magnum T.A.’s car accident (the biggest story of the year for JCP). Aside from learning that everyone’s pay was docked a percentage for Magnum, we learn nothing of the impact of the accident on the company or their personal feelings on the matter. 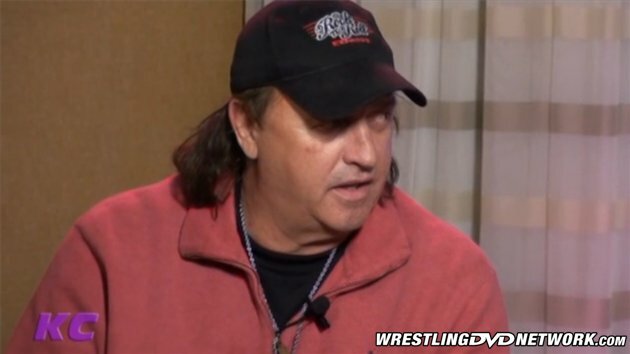 While Robert Gibson comes off as a low-key, mellow guy, Ricky Morton comes across as the stereotypical bitter old wrestler who resents the current pay scale in wrestling and harbors decades old grudges against fellow wrestlers, like Dusty Rhodes, for supposedly holding him/them down. While this would be fine for a regular shoot interview, it unfortunately lends nothing to the understanding of JCP 1986. Morton is in such a rush to get the interview over that in the end he rips his microphone loose, nearly breaking it in the process, and being told to “calm down”. Like past “Timeline” DVDs the first half of the year gets a lot of attention while the rest of the year is glossed over fairly quickly. This is hardly the fault of Sean Oliver, who not only asks good questions but tremendous follow-ups as well. 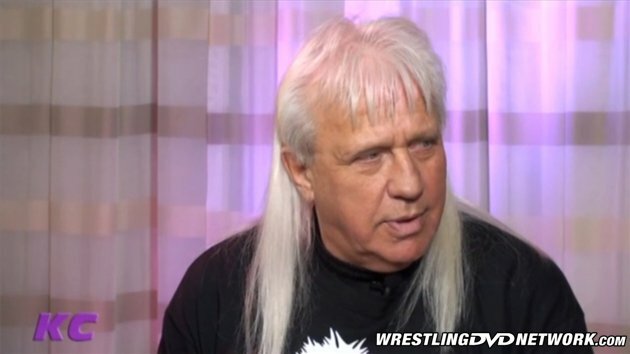 It seems the lack of post-Great American Bash content is due more to Ricky Morton’s deteriorating mood/attitude than lack of material to discuss. While the negatives are high, and are a real drawback, Ricky and Robert produce several solid segments and offer unique insight into true tag team psychology, the art of selling, and why babyfaces, in the territory days, didn’t last as champions. There are funny stories as well, including one involving Wahoo McDaniel being arrested at Bennigans while trying to enjoy “rancho nachos”. If you’re looking for the typical “Timeline” here, you’re not going to get it. Unlike previous editions there isn’t much substance to be found this time around. Sean Oliver, meanwhile, handled this interview like a true pro. If not for his professionalism the interview would have devolved into a serious train wreck! At 2 hours and 24 minutes there is a lot to digest, just not enough pertaining to 1986. This would have been fine as a standard shoot interview or even as a “YouShoot”, but the Rock ‘n’ Roll Express fell far short of the classic “Timeline” interviews of recent memory. If you’re a fan of the Rock ‘n’ Roll Express or the Kayfabe crew you will enjoy this DVD no matter what. However, if you’re looking for actual information or detail about Jim Crockett Promotions in 1986, which is the selling point of the DVD, you’re better served looking elsewhere. “Timeline: The History of WCW – 1986” is available right now at KayfabeCommentaries.com. As usual there’s a physical DVD version and the ability to stream it instantly On Demand. Being a HUGE fan of these guys since 1986 & a friend of Ricky Morton, I had to order this to keep my collection complete….it has it’s good points but overall, unfortunately, it could have been way better. I was very disappointed in this edition. Lol, sounds rubbish, but makes for an entertaining review!